Hand-harvested in the land of the baobab, Sunleaves Madagascan Natural Fertilizer (0-13-0) promotes the development of robust roots, big blooms, and flavorful fruit. With a naturally high phosphorus content, it’s the ideal complement to high-nitrogen Sunleaves Mexican and Sumatran Natural Fertilizers as part of a complete feeding program. Mix it into soil or apply as a top dressing, or brew into compost tea for use in soil or hydroponic gardens. Hand-harvested in the land of the baobab, Sunleaves Madagascan Natural Fertilizer (0-13-0) promotes the development of robust roots, big blooms, and flavorful fruit. With a naturally high phosphorus content, it’s the ideal complement to high-nitrogen Sunleaves Mexican and Sumatran Natural Fertilizers as part of a complete feeding program. 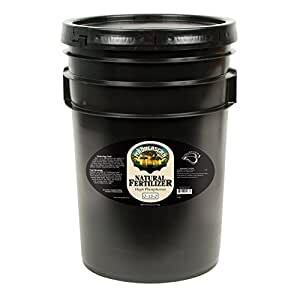 Mix it into soil or apply as a top dressing, or brew into compost tea for use in soil or hydroponic gardens.